Forget Beauty Boxes have you seen the Discovery Sets available from Whatsinmyhandbag.com (WIMH)? I have been trying out the very popular Welcome Back To Korres Kit, packed with 7 different products try, some of which are full-sized. The great thing about the Discovery sets is you know exactly what you're getting. Plus some of the products are travel size, so you're able to try the product for a nice time before deciding whether you would re-purchase a full size. 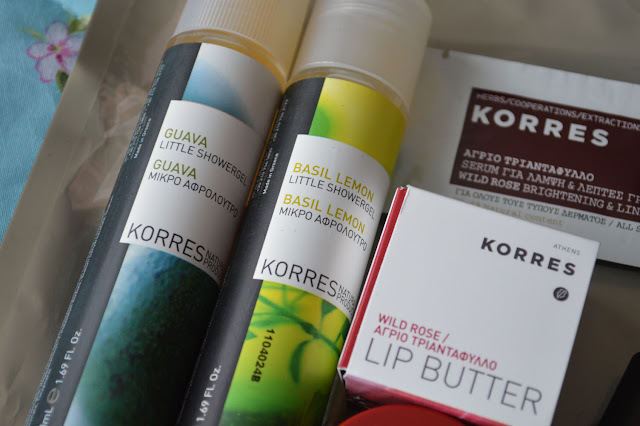 I'm a huge fan of Korres, a Greek beauty brand with a strong natural ethos. 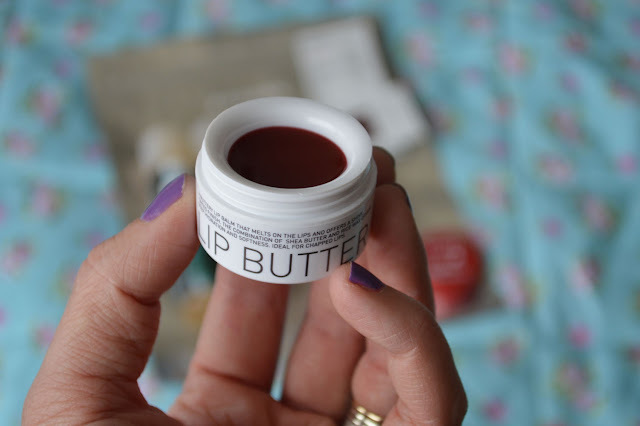 I love their Lip Butters, a best selling product from their range. In this kit you get a full sized Wild Rose Lip Butter, it leaves a red wash of colour on the lips without being too bold like a red lipstick. These are great to carry around with you, just pop some on when you need it. Whether you want some hydration for the lips or a little bit of colour on the lips. I have a few of these and would re-purchase for sure. The other full sized product is the New Korres Nail Color, the shade Baby Pink is a bang on trend. A lovely flattering dreamy colour, great for short or long nails. The remaining products are travel sized and sample sized, two nice travel sized showergels. These are perfect for your overnight bag, gym bag or if like me you're interested in the scents. The two scents are Guava and Basil Lemon, both very uplifting and refreshing. Perfect for the Summer...when it comes! The last two items are small samples from the Korres popular Wild Rose skincare, the Wild Rose Moisturising & Brightening Cream is aimed towards normal/dry skin types. I have combination skin with an oily t-zone and found this cream fine to use, it wasn't heavy on my skin. In fact I think my skin was thankful for the boost in moisture. The Wild Rose Brightening and Line Smoothing Serum is suitable for all skin types. A great serum to try if you're starting to think about anti-ageing, with the added boost of vitamin C which I'm sure we could all do with at the moment. You can pick up your Discovery Kit for £15 (worth £27). 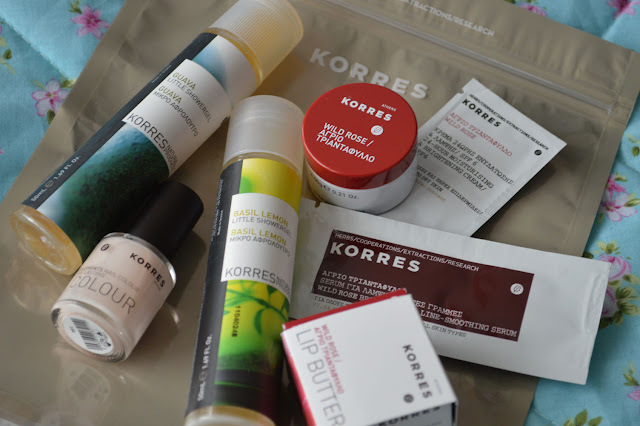 I love Korres their lip butters are beautiful and so are their skin products!